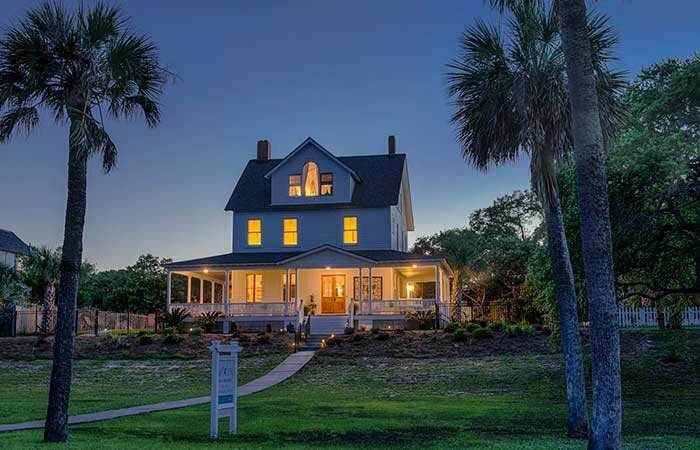 Surf Song offers a unique opportunity to enjoy the character and beauty of a historic home with updated beach fun furnishings. The home was built in the late 1890’s for one of the senior officers at Fort Screven. In all there were 11 homes on “Officer’s Row” of which 9 still remain. 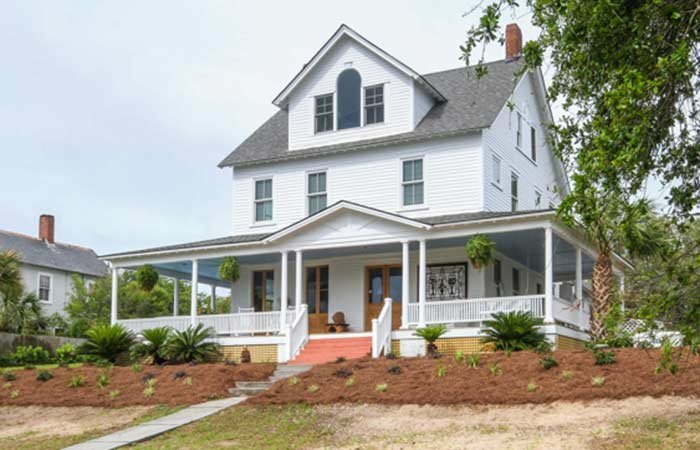 The homes are an impressive sight all with Victorian styling and large porches sitting atop a large earthen berm created by the army engineers to protect the homes from potential flooding due to tropical storms or hurricanes. Much of the home's original charm has been retained including fireplaces, tin ceilings, pocket doors and other wood trim. 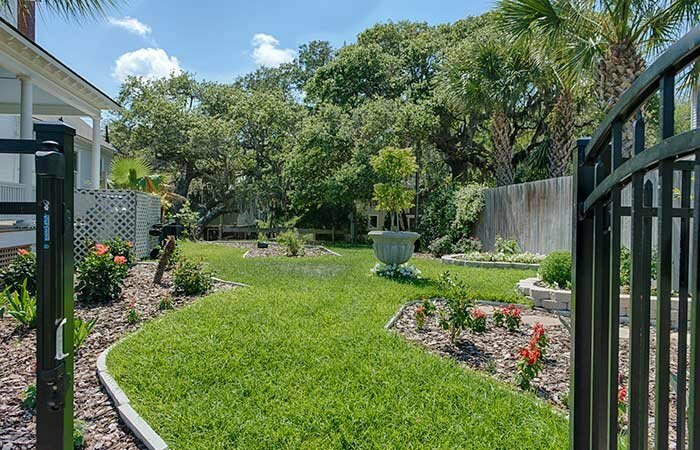 The house is one block from the beach and has a park with great walking or running trails immediately behind the home. The house underwent an extensive renovation in 2013 honoring the history of the house but adding a beach flair. You will enjoy a mix of old and new decorating elements and will certainly appreciate the amenities like an en suite bathroom with every bedroom. The beds and bedding are also new and first rate which should help you get some rest after a day of fun on the beach. Another addition in 2013 was the private swimming pool. A great place to cool off and when you get out of the water the ocean breezes are normally great as the pool is also on top of the earthen berm. Beyond all the great things the house offers, we also strive to offer great service with an outstanding breakfast and a staff focused on making your time on Tybee or in Savannah truly enjoyable.